Hello, I’m John Bettencourt and I’m dedicated to providing you with the very best pool and spa service available. My passion for what I do shows in every aspect of my business – from our professional demeanor, to our clean uniforms, to our dedicated pool service vehicles, my customers know what to expect. My staff and I are dedicated to maintaining the highest level of education regarding emerging developments in the pool care industry. To that end, we regularly attend seminars and workshops designed to keep us abreast of the very latest practices and products available. In addition, I am the past Regional Director for the Independent Pool & Spa Service Association (Region 6), of which I have been a proud member since 1994. I also served the association as President and held other positions at the chapter level. If you need a pool company in San Jacinto CA, you can count on John Bettencourt to get the job done! 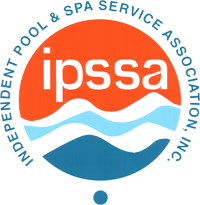 Formed in 1988 as a result of a merger between IPSA and Cal-IPSA, IPSSA is the world's largest association for pool and spa service technicians. The IPSSA exists for the mutual professional benefit and growth of its members and for the continued improvement of the pool and spa industry. The NSPF® Certified Pool/Spa Operator® Certification program is the world's leading verifiable pool and spa training credential. 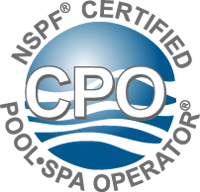 A CPO® Certification provides individuals with the basic knowledge, techniques, and skills of pool and spa operations. This training has helped protect millions of swimmers by reducing hazards at aquatic facilities. Makes my pool sparkle!— Lenore C.